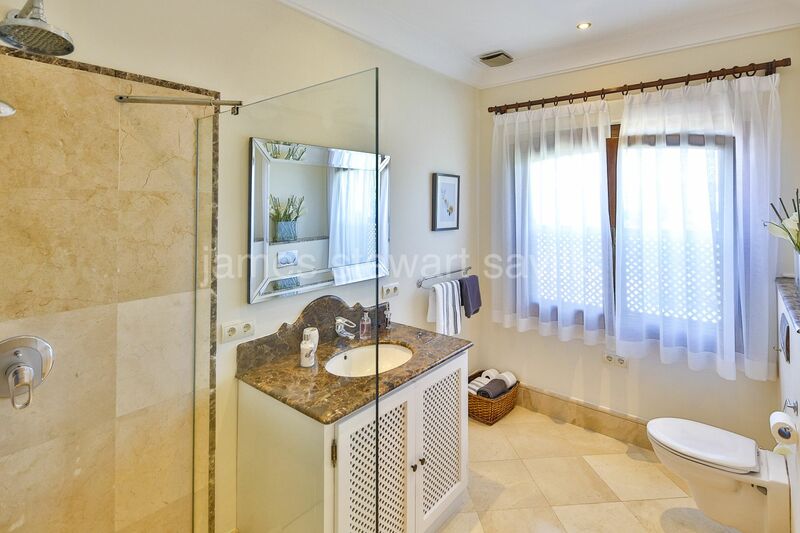 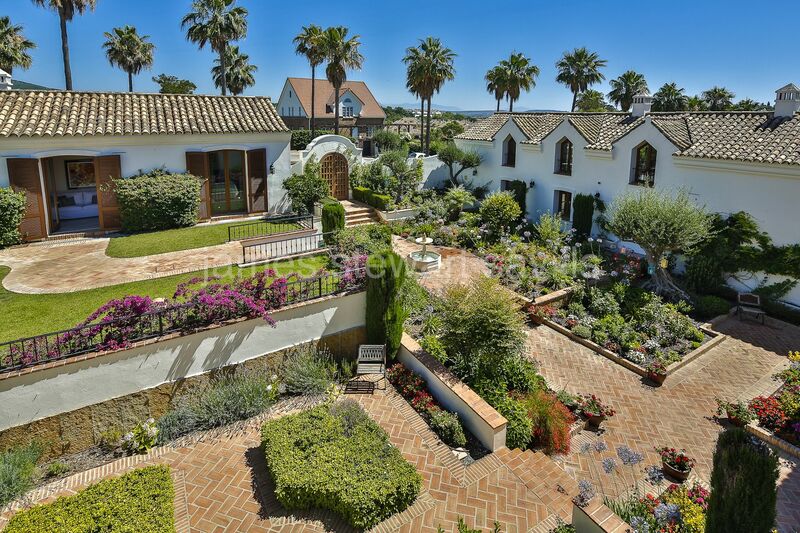 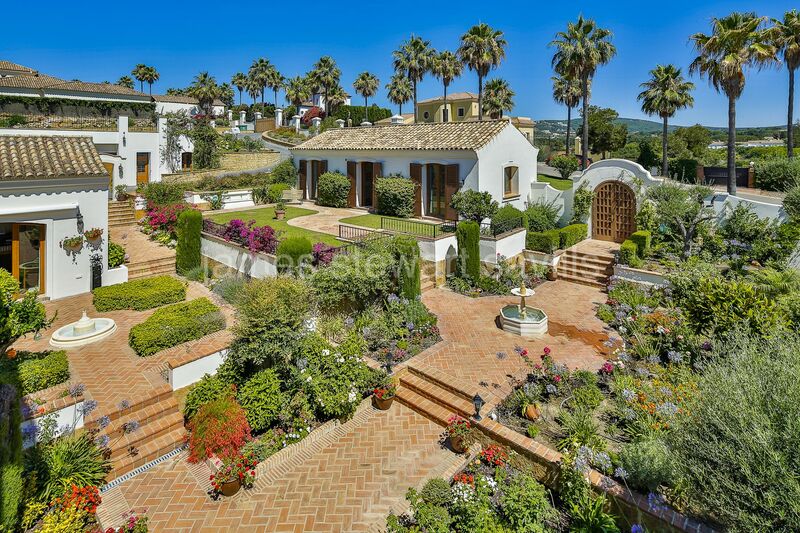 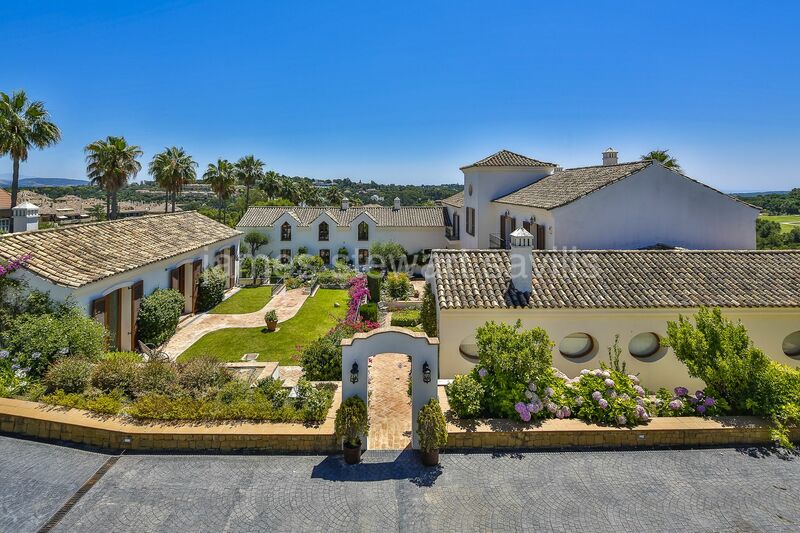 An excellent villa on 2 plots in a quiet street in Sotogrande Alto. 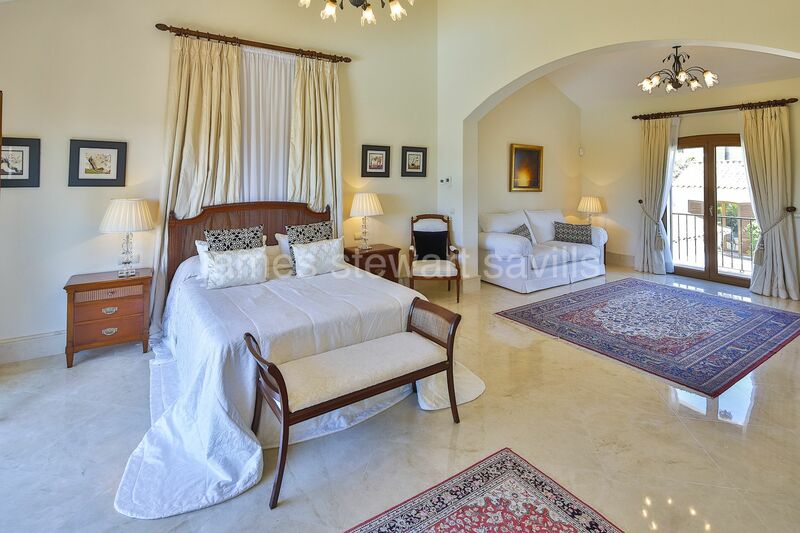 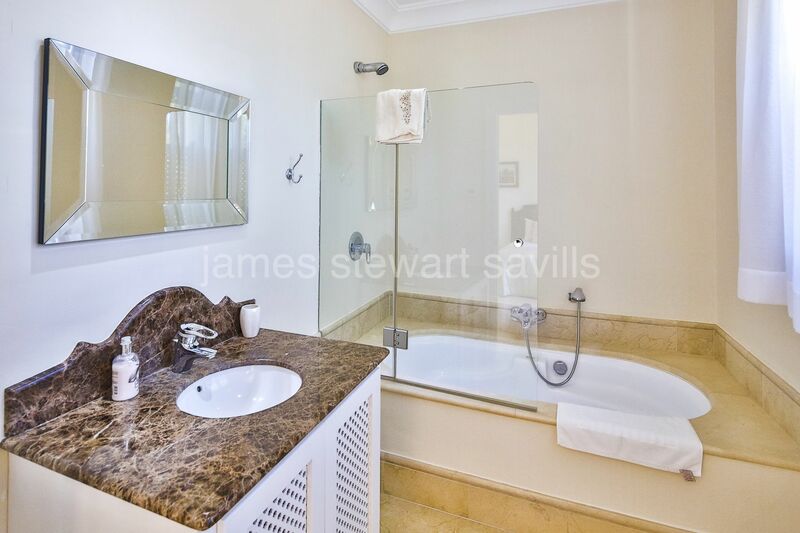 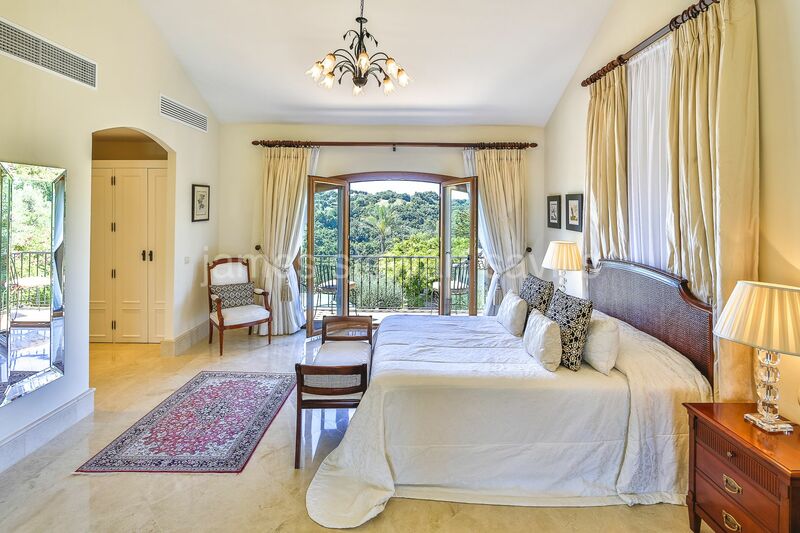 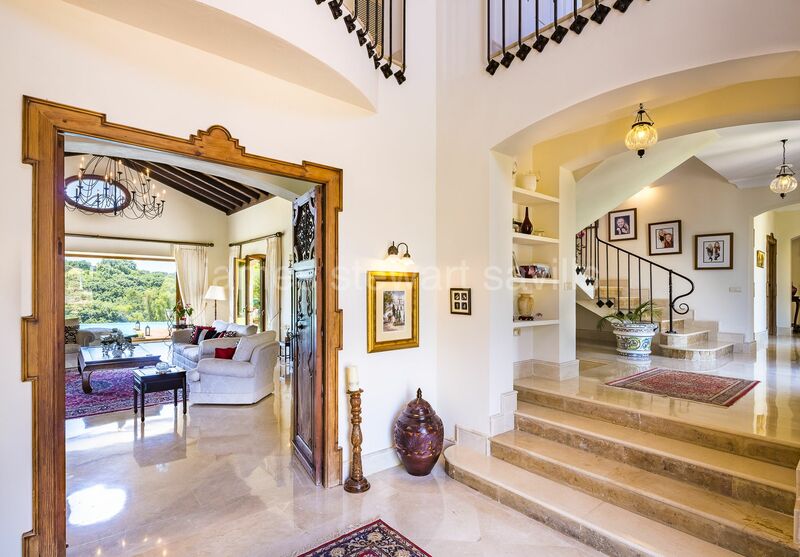 In addition to the excellent finishes and attention to detail, this villa has truly wonderful views from all floors. 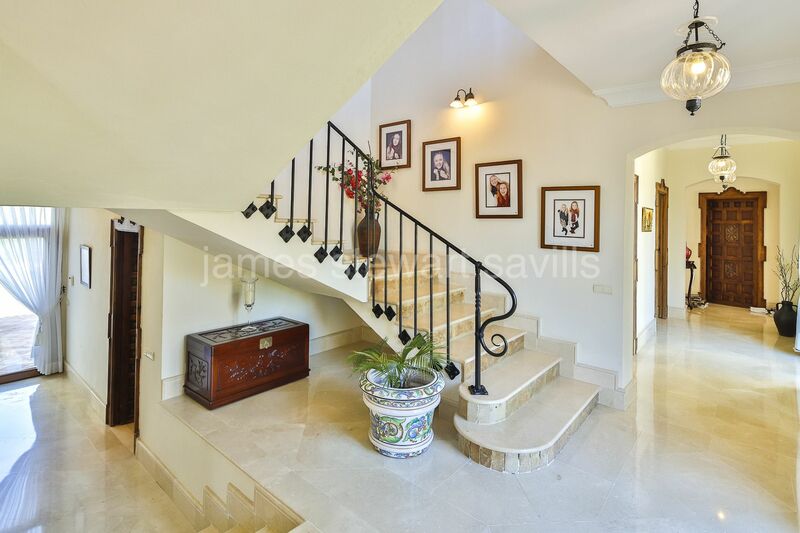 The entrance gate brings you through to a lovely courtyard with fountain leading you to antique Ronda wooden doors leading through to the entrance hall of the main villa. 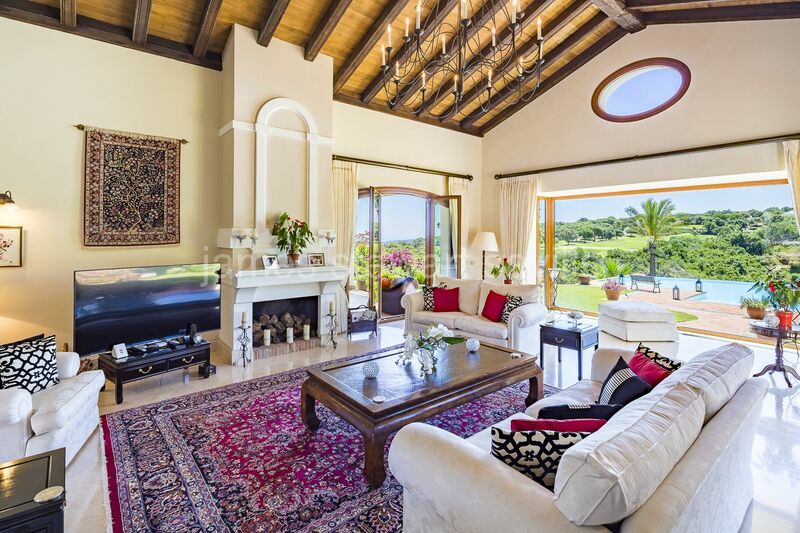 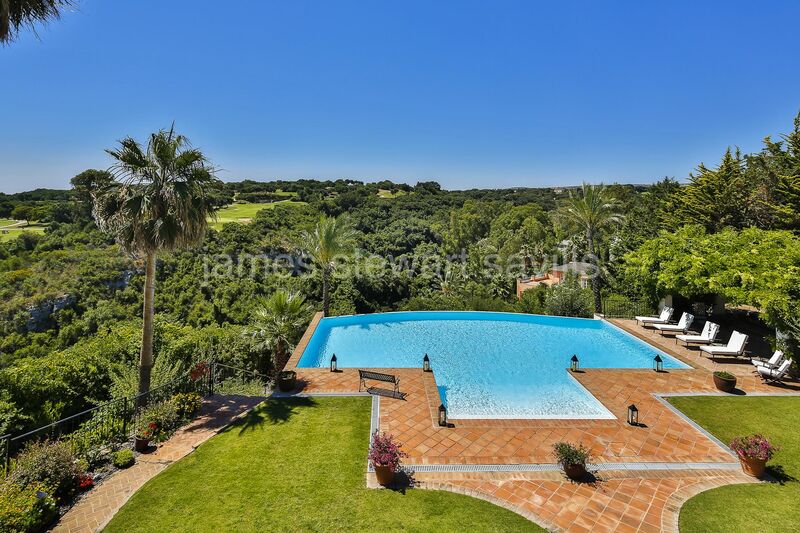 There is a living room with fireplace and large windows to maximise the amazing views over the infinity edge pool to a ravine (protected green zone) and San Roque Golf course beyond. 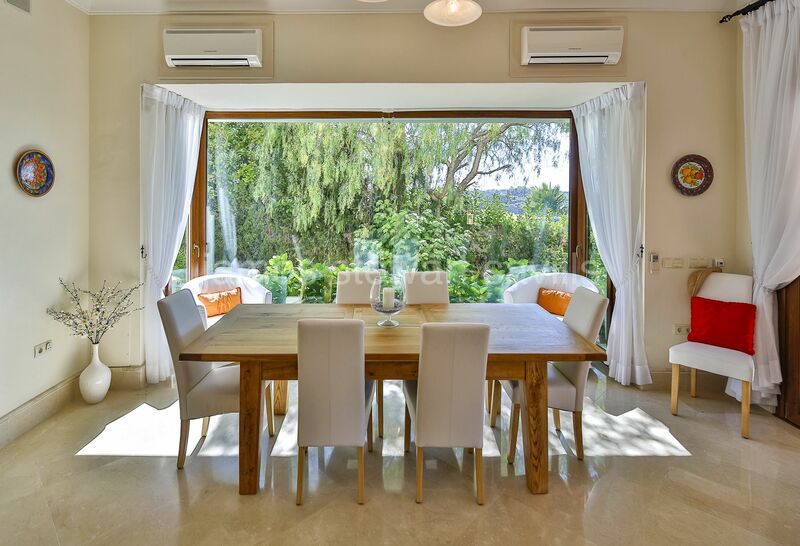 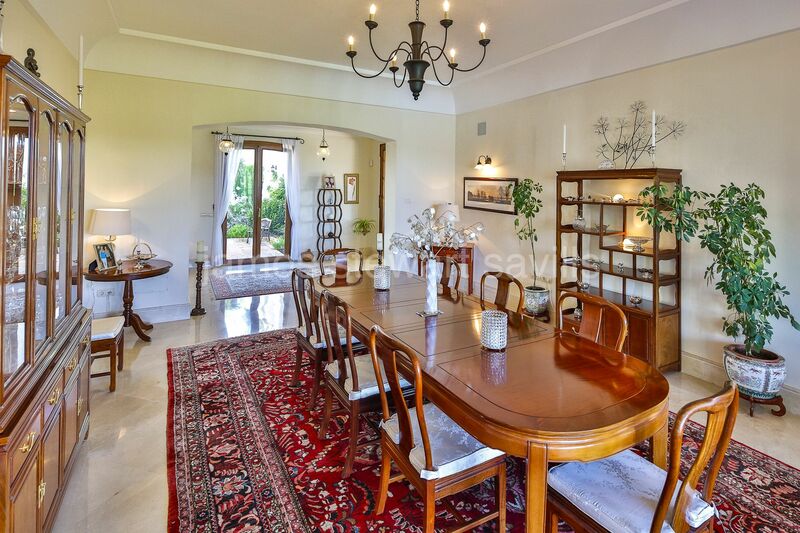 There is a large formal dining room and great family kitchen which opens out to a covered barbecue area. 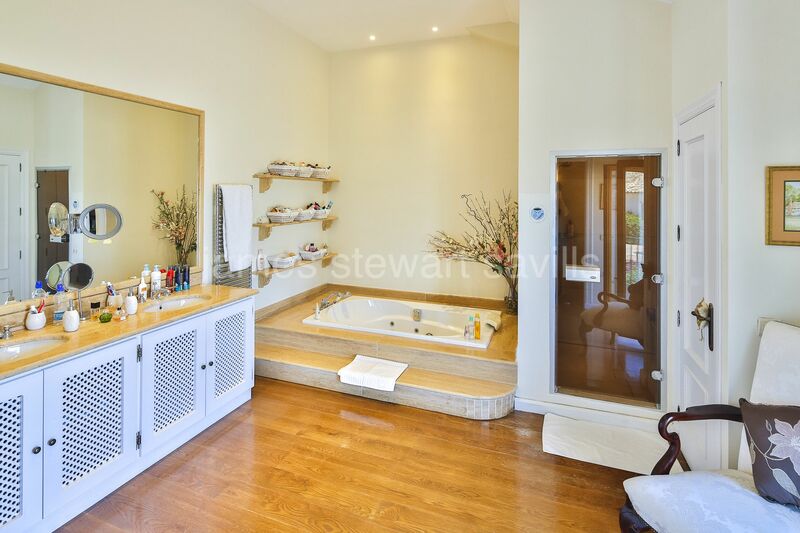 On this level there are 2 en-suite bedrooms, a study/7th bedroom, a utility room and double garage. 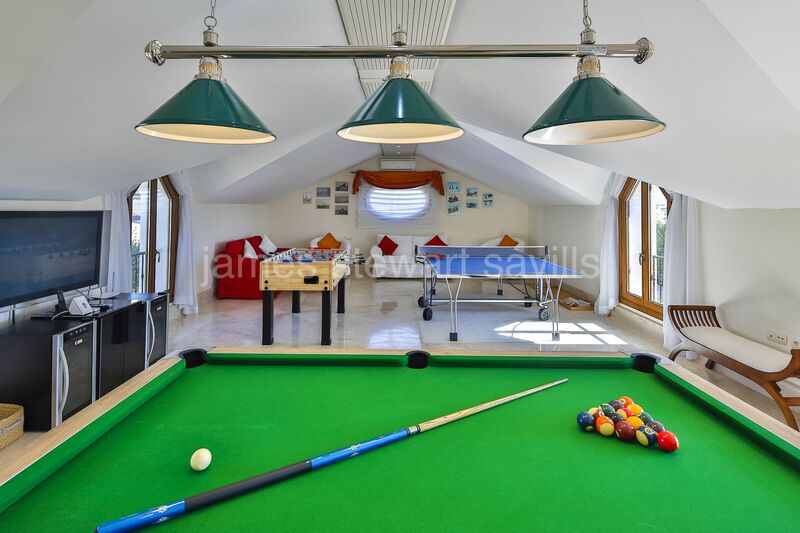 With independent access and via it´s own staircase is a games room/gymnasium – this can be converted into guest suite or staff quarters. 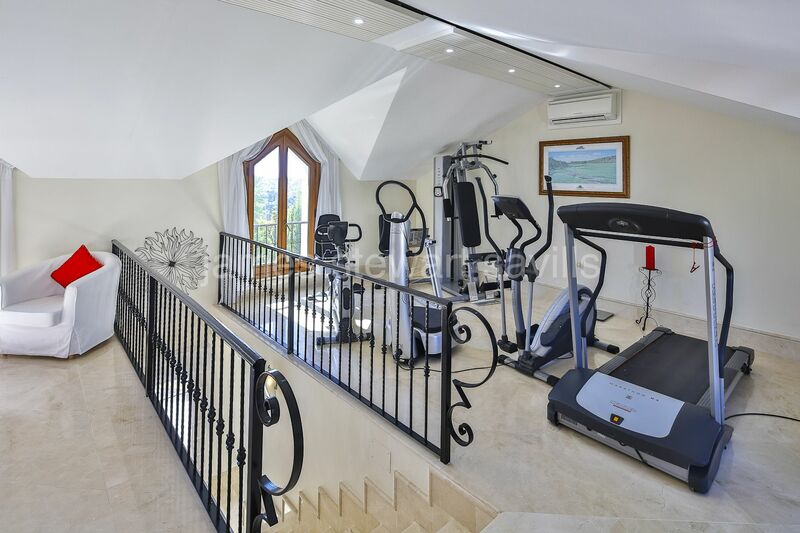 On the upper floor is the extensive master suite with bedroom, lounge with fireplace, large dressing room and bathroom with sauna. 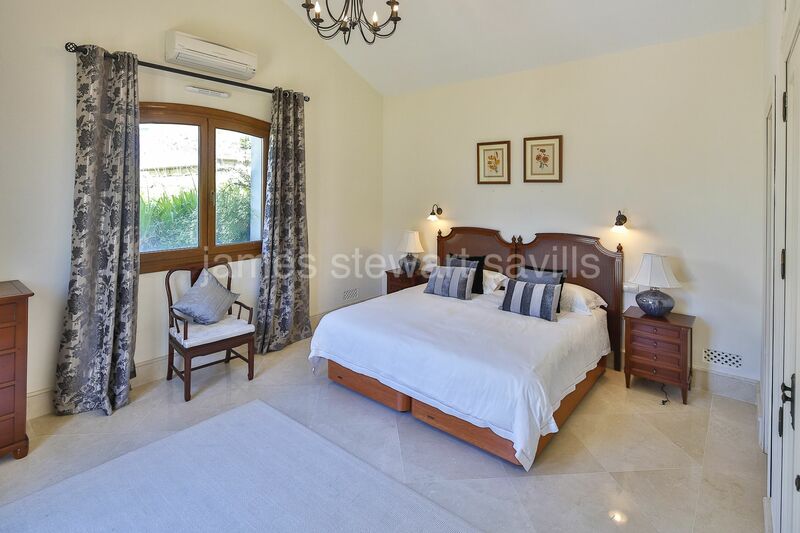 Outside there is the guest house with 2 en-suite bedrooms. 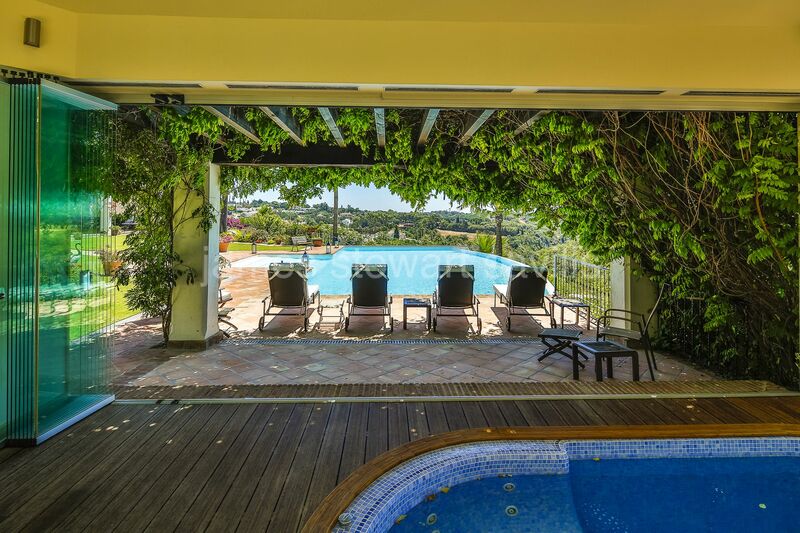 In the garden area in front of the villa there is a large heated infinity edge salt water pool and Spa pavilion with covered fast lane pool which can be closed with glass curtains. 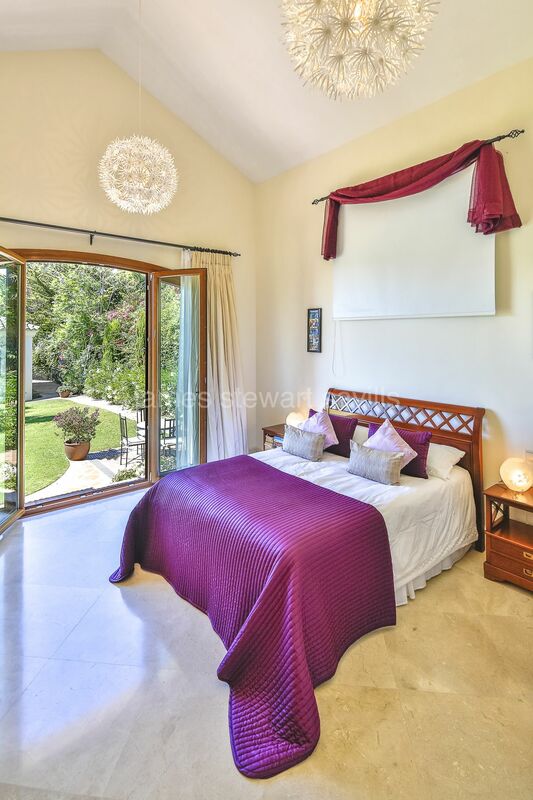 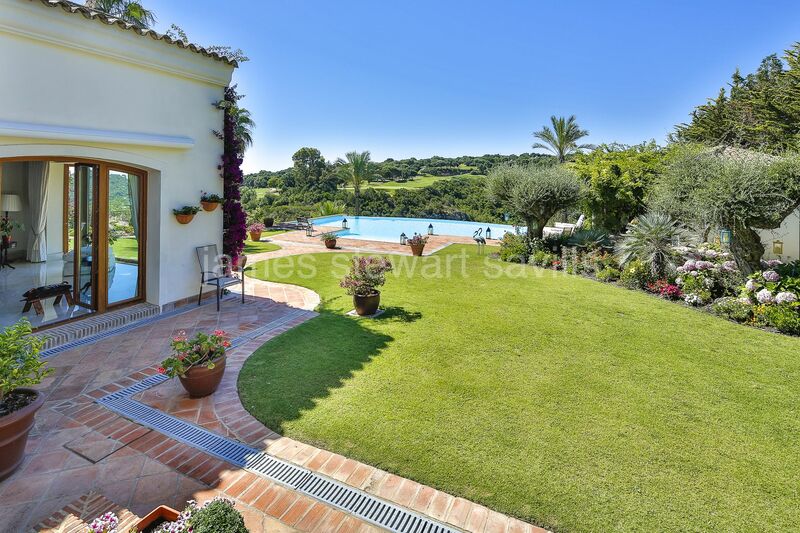 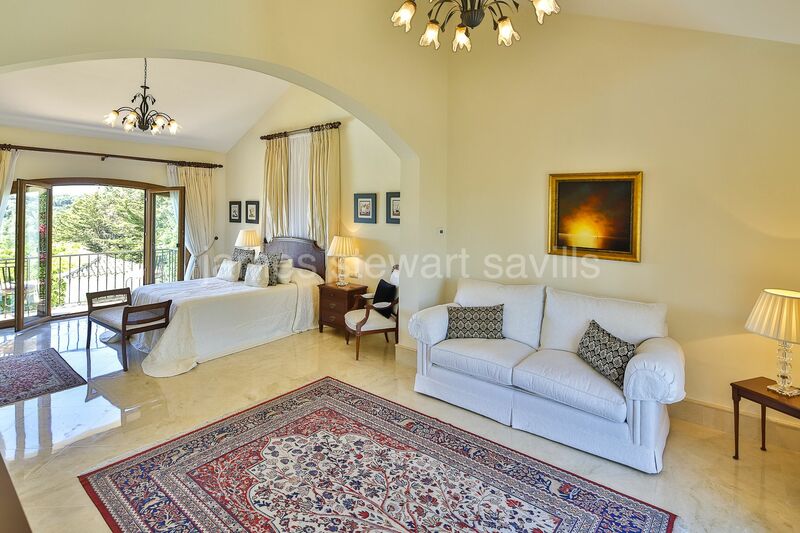 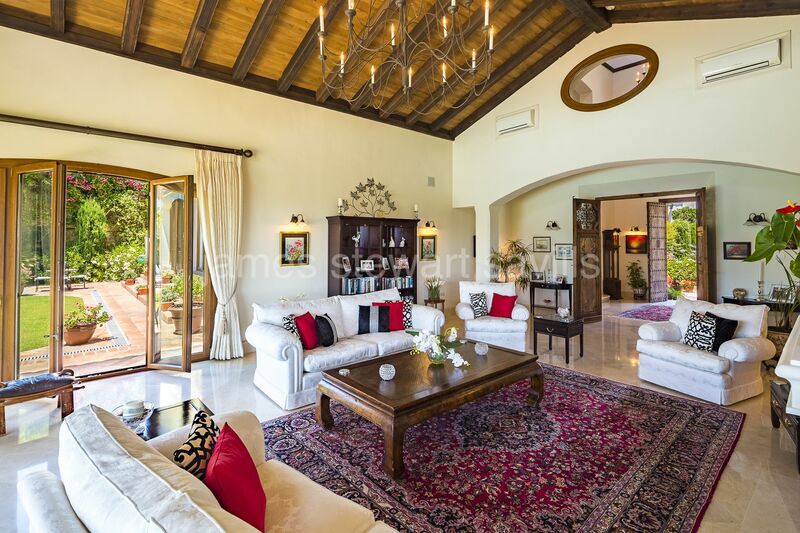 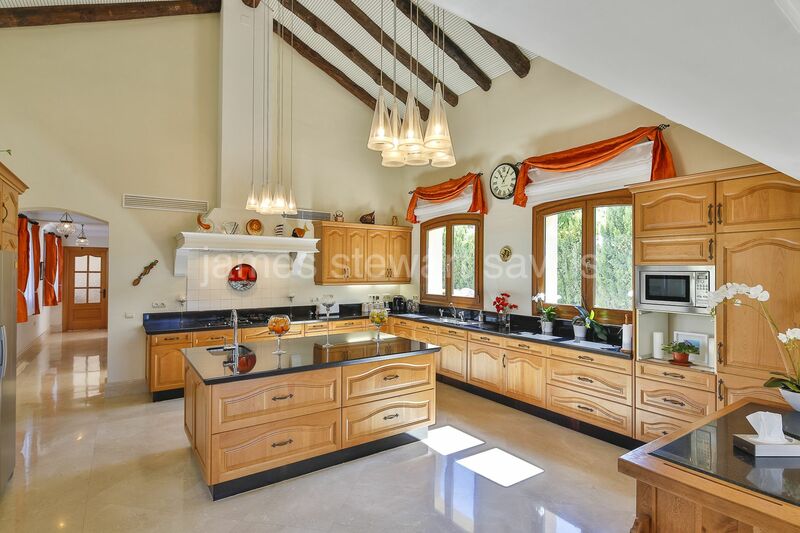 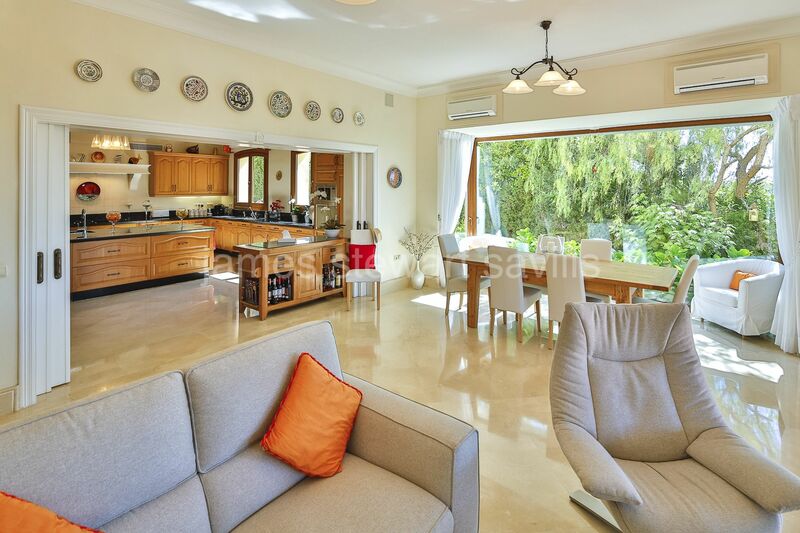 This is an exceptional property in immaculate condition yet with the charm of a family home and wonderful views that are protected by golf and green zones. 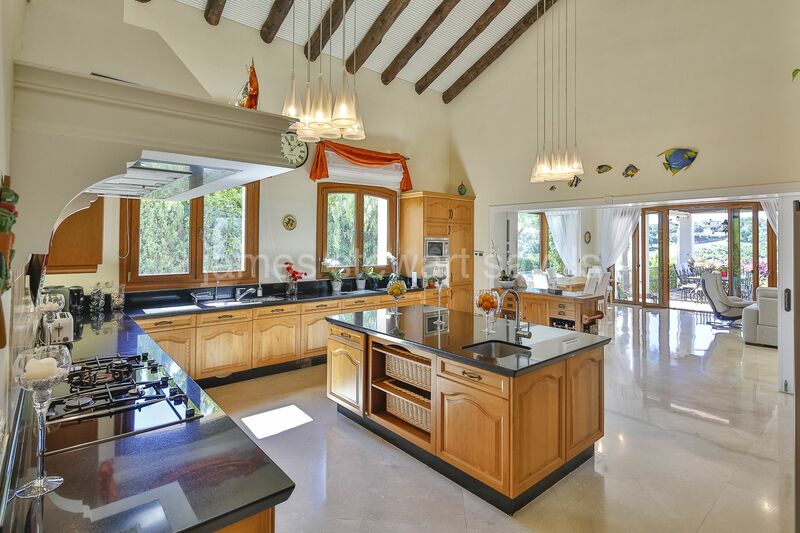 The villa is built on one plot of 3247m2 with the adjoining plot of 2859m2 available for € 1.100,000. 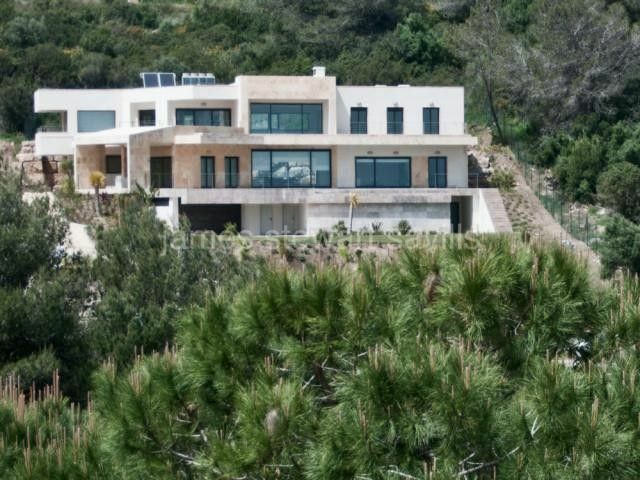 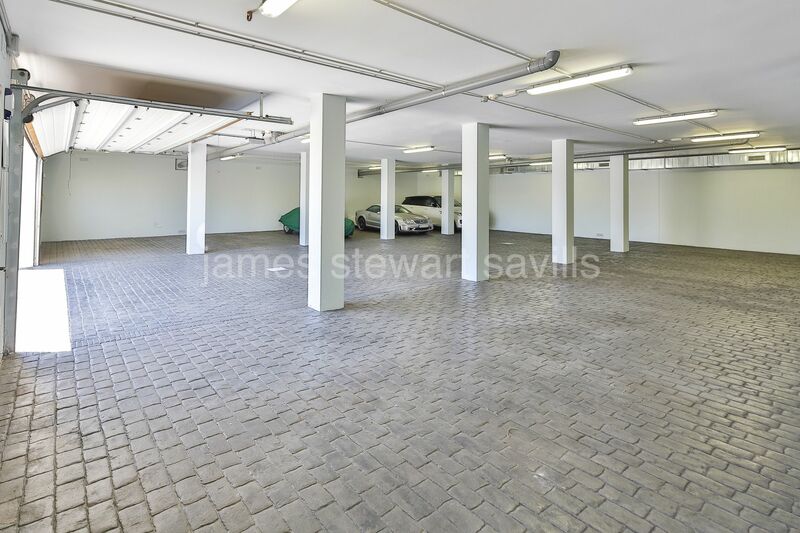 This plot currently has a 20 car garage constructed to allow the addition of a villa above.